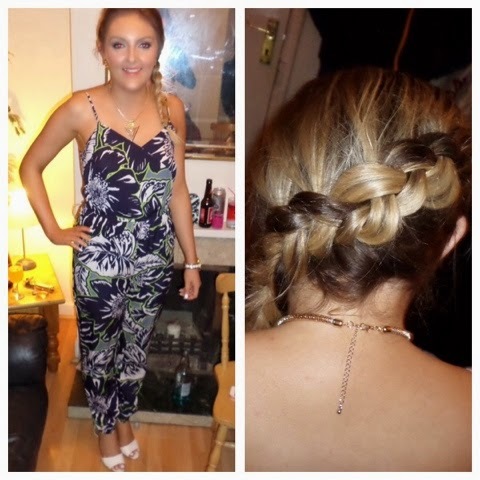 Here is the latest What I Wore post from Clodagh’s Birthday last weekend. We didn’t take many pictures so sorry about the not so great quality of the picture. 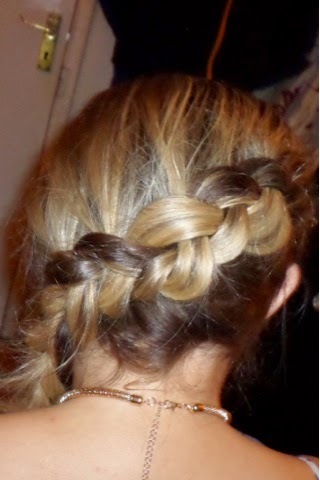 My sister Aoife done this fab plait in my hair love it! You cannot go wrong with a black jumpsuit its just like a LBD you can dress it up with any colour and its perfect for any occasion. I found a fab one with lace from Miss Selfridge and also just a plain black with a belt from River Island. I myself have a plain black from ONLY and I love it. From Miss Selfridge check it out here! From River Island check it out here! Patterns are everywhere for Summer and there are some fab floral jumpsuits out there my one from above is from Penneys, because floral prints are so busy you don’t need to accessorize as much just grab a pair of shoes and your good to go. I found gorgeous floral prints from Missguided and Tescos. From Missguided check it out here! From Tescos check it out here! The good thing about jumpsuits is its a whole outfit in one there is no need to go buy a top,shorts,skirt etc to create an outfit your outfit for a night out is complete with just one item. I love the bright coloured jumpsuits that are available at the moment perfect for Summer. Check out these from Missguided and Boohoo they are available in many colours. From Boohoo check it out here! Aztec and Monochrome are still huge this season I have seen some fab aztec/monochrome jumpsuits check out this one from Boohoo.